Members of Coastguard seized one ton of jatka during a drive on Monday at Meghna confluence, Horina, Loggimara Char and other adjacent areas in the Meghna River. They also seized 40,000 metres of Current Jal left behind by fishermen. While the jatka was distributed among the orphans, poor and destitute, the nets were burned on the river bank at the order of the Additional District Magistrate Abdullah Al Mahmud Jaman. 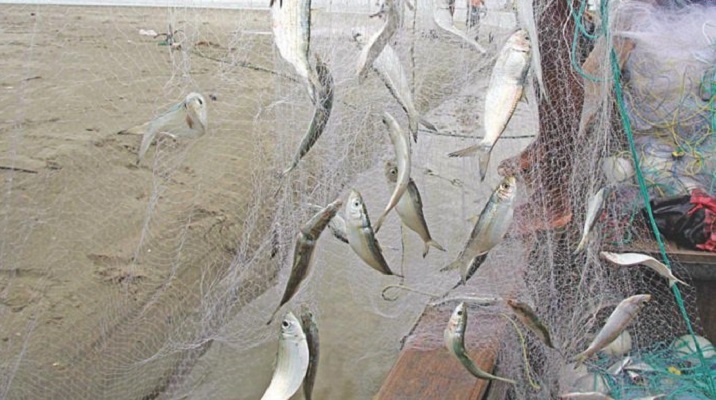 Fishermen had caught the jatka defying a government ban on fishing during the March-April period to protect the fish.